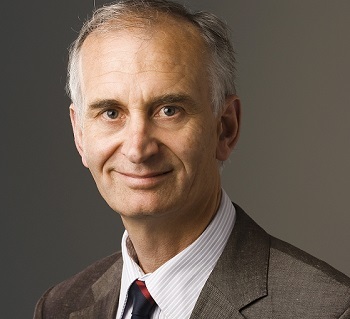 Professor Peter Watts QC of the University of Auckland’s Faculty of Law has been elected as one of only four Royal Society of New Zealand Te Apārangi (RSNZ) lawyer Fellows in New Zealand, and he’s the only one that’s still a fulltime academic. The three retirees are Emeritus Professor Brian Coote (Auckland), Emeritus Professor John Burrows (Canterbury); and Emeritus Professor John Smillie (Otago). The late Mike Taggart was also a Fellow. The lawyers are among just 12 New Zealanders elected as RSNZ Fellows this year. The honour is given to top researchers who show exceptional distinction in research or in the advancement of science, technology or the humanities. For Watts, who was made Queen's Counsel in May 2013, the rare status is recognition of his high international standing in the general area of commercial law - particularly in agency law, company law, and the law of restitution. He is one of the Commonwealth’s most distinguished researchers in agency law, which has connections to most branches of private law. Watts told NZ Lawyer that he was chuffed to receive the distinction, especially considering it coincides with his 30th year of being an academic. And although he’s honoured to be the only lawyer Fellow in the country that is still working full-time, he expects many others to join him in the years to come. This is because the ability for lawyers to be appointed as an RSNZ Fellow is still relatively new, and the profession was only introduced to the awards in 2010. Watts, who was born and bred in Central Hawkes Bay, says he’s always had a love of arguing, and “studying law seemed to be an obvious thing to do”. He attended the University of Canterbury and then made the leap to the UK to do complete his masters at the University of Cambridge. Upon return, Watts worked at Chapman Tripp in Wellington for a time, before eventually joining the University of Auckland, where he’s been teaching ever since. “I’ve taught generations of lawyers. Every year brings a fresh group of enthusiastic minds, keen to learn the basics of company law and other commercial subjects. I never tire of teaching,” he says. But Watts points out that to be a good teacher you also need to be constantly keeping up with the practice. Throughout his 30-year career as a law academic, he’s continued to work in his roles as a barrister at Bankside Chambers in Auckland, and a door tenant at Fountain Court Chambers, the Temple, London. He divulges that retaining strong links with the profession is one of the things he’s most proud about in his distinguished career. Other career highlight for Watts include producing a prominent text in company law (Company Law in New Zealand, LexisNexis, 2011) and obtaining the editorship of Bowstead & Reynolds on Agency based out of London, the leading Commonwealth text in its field. He jokes that this latest achievement - being made an RSNZ Fellow - is a good sign he’s still on the right track. And when Watts isn’t putting all his energy into guiding generations of young lawyers, working on major cases as a barrister, or producing important texts, he says he likes getting outdoors. Tramping and gardening are two of his main hobbies, as is a love for classical music.